A stronger advertising market in Germany and digital growth helped keep RTL Group’s top line more or less stable for the first quarter, though production unit FremantleMedia wobbled. Revenues were down slightly from €1.313 billion (US$1.49 billion) to €1.308 billion, with a higher sales at RTL Deutschland being offset by lower revenue at France’s M6 Group and Idol producer FremantleMedia. The latter’s earnings before interest, tax and amortisation decreased to €3 million from €9 million, mainly due to lower revenue caused by phasing effects on the delivery of programmes at FremantleMedia North America and in Europe. The company noted that FremantleMedia’s 25% stake in startup Corona TV would help the group build its scripted content activity. Other highlights included its joint North American licensing deal for French drama The Returned with A+E Networks and its April agreement to create formats for the Chinese market with Shanghai Media Group’s BesTV and China Media Capital. Also in production, RTL noted that in April, NBCUniversal International Television Production, RTL Deutschland and TF1 entered into an international coproduction agreement to produce original US-style TV procedural dramas, which it said is the first time that European broadcasters have partnered with a major US media company in a deal of this type. RTL’s EBITDA for the period was stable at €247 million, while net profit was up 16.5% to €106 million. Meanwhile, RTL’s digital revenues were up 66% to €88 million from a combination of organic growth and acquisitions. In digital RTL Group’s catch-up TV services, websites and MCNs attracted a total 18.7 billion online video views, up 160% year-on-year. FremantleMedia’s more than 220 Youtube channels attracted 2.7 billion views, up 69% year-on-year. Other highlights of the quarter included the launch of three new pay channels by RTL Hrvatska in Croatia. 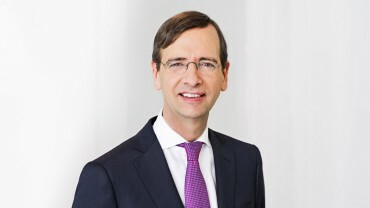 “Overall, we had a successful start into the year and slightly increased our operating profit EBITA, mainly driven by another strong performance from Mediengruppe RTL Deutschland,” said co-CEOs Anke Schäferkordt and Guillaume de Posch (pictured). The pair noted that RTL had boosted M6’s digital development with the acquisition of Oxygem in France, and that the group had invested in digital capability with a minority investment in the start-up Clypd in the US, complementing the “growing business of SpotXchange by adding capabilities to place spots into linear TV programmatically”. Additionally, FremantleMedia invested in the newly launched Corona TV to strengthen its scripted pipeline “with projects that will have cinematic feel”. BroadbandTV used funding provided by RTL Group to acquire the leading kids content producer and publisher on Youtube, YoBoHo. “We still have the capacity to explore more investment opportunities in the rest of the year based on our very healthy financial position. We will continue to do so throughout 2015, applying our strict investment criteria to generate profitable growth,” the pair said. De Posch and Schäferkordt confirmed the group’s outlook for the full year 2015 with the expectation that total revenue and EBITA will be broadly stable.